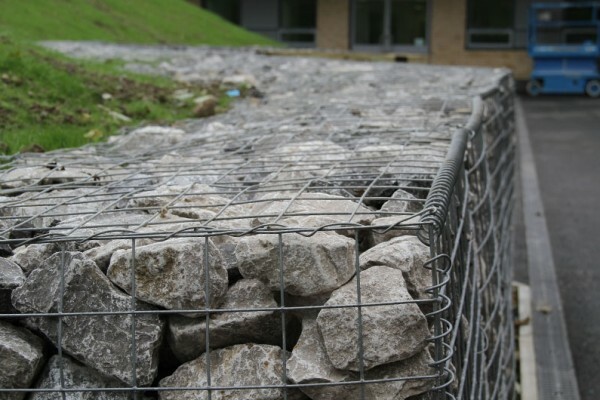 TCS Geotechnics offer a range of wire mesh gabion baskets that are delivered flat packed and ready to be assembled via wire or helical fixings and filled on site. 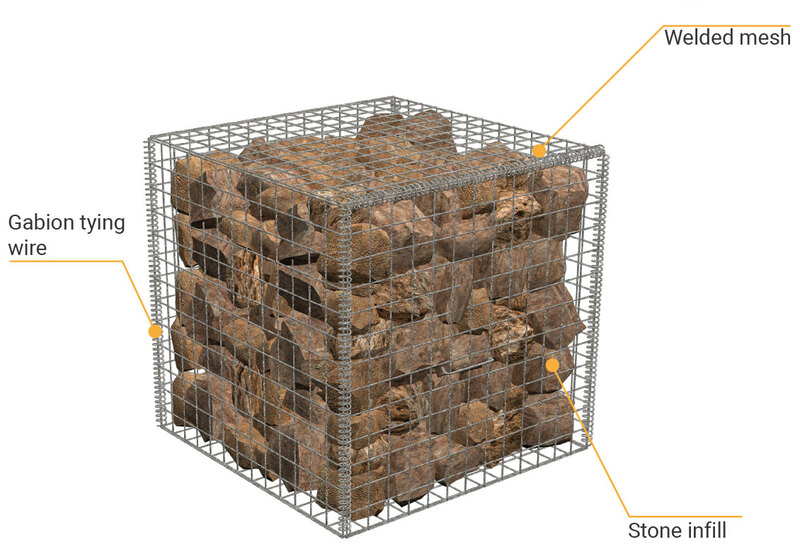 Gabion baskets can be filled with rounded stone, angular rock or recycled materials like crushed concrete as required. 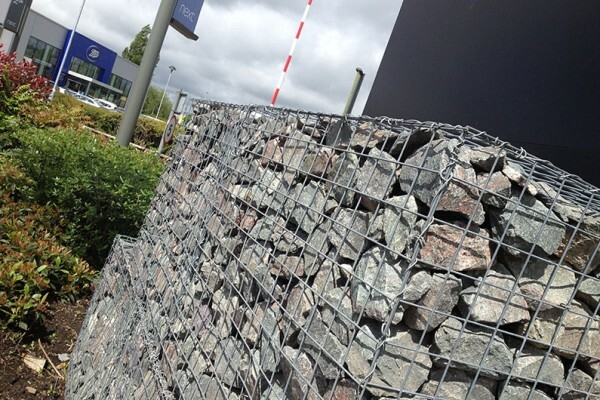 Gabions are typically supplied in 76.2mm x 76.2mm aperture welded mesh (other mesh sizes available) and provided in Zinc coated triple life corrosion protection as standard, optional PVC coating or stainless steel wire are also available. 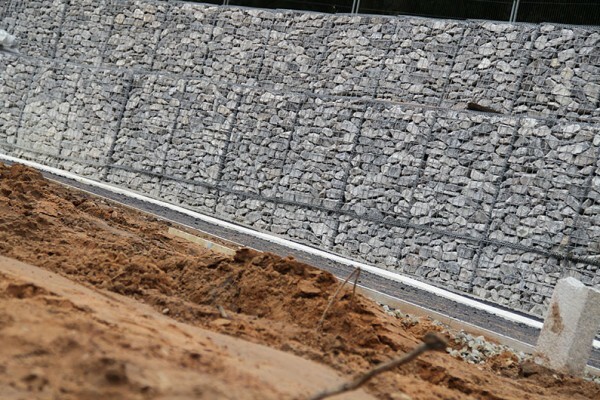 TCS Gabions are typically used to create free draining gravity retaining structures in slope stabilisation and erosion protection applications. 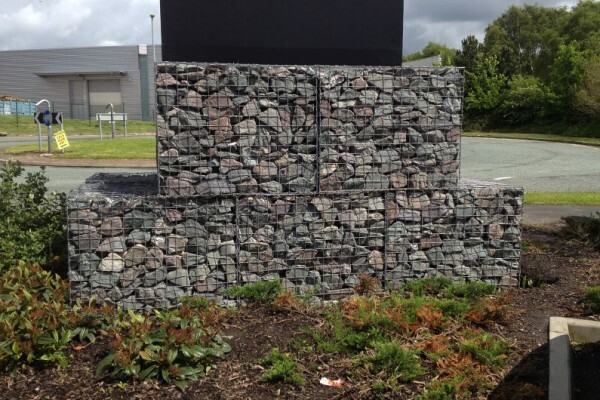 The infilled gabions can be used to secure erosive landscapes and provide structural support for applications such as bridge abutments, wing walls and outlet aprons, TCS gabions can also be used to clad unsightly areas to improve aesthetics. 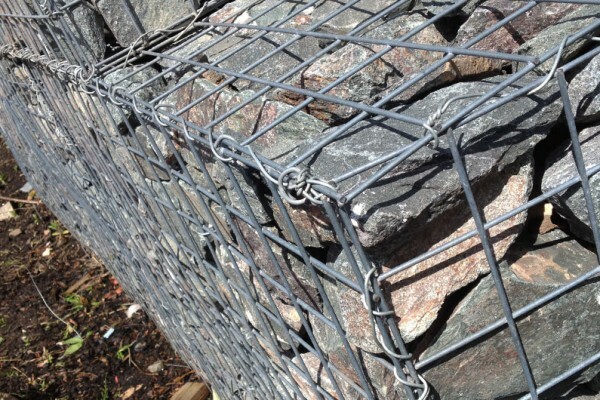 As indicated above, units can also be manufactured from other non-standard mesh sizes or combinations of wire diameters to suit particular needs and stainless steel gabions are also available to special order.